Saudi King Salman bin Abdulaziz brought 1,500 people, a golden escalator, furniture and his own carpets on his historic, four-day state visit to Russia, a person familiar with the matter said. 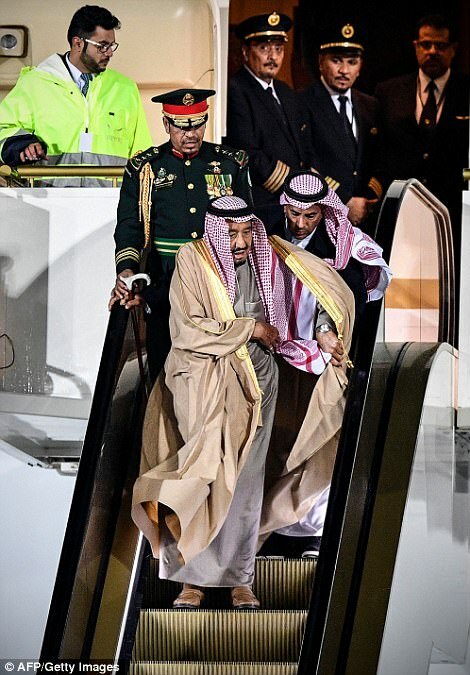 The 81-year-old leader of the Gulf kingdom exited his plane late Wednesday and stepped out onto the special escalator he travels with. But something went wrong: It malfunctioned halfway down, and he had to walk the rest of the way. A cavalcade of cars sped the monarch to the center of the city, flanked by Russian police escorts. 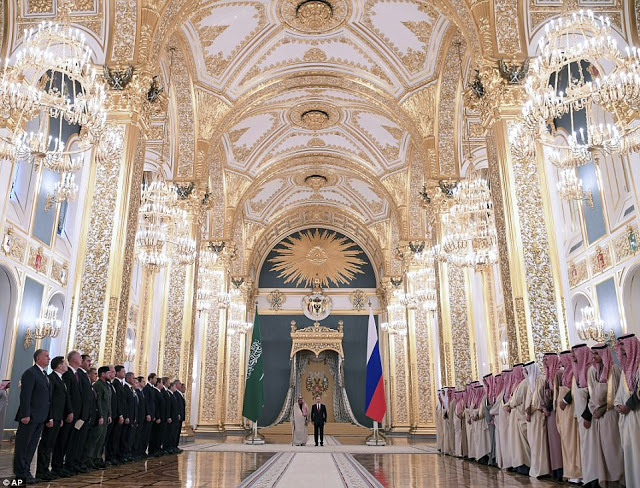 During the first visit to Russia by a Saudi monarch, the two countries have already struck a deal on weapons sales and discussed ways to continue to cooperate on stabilizing the oil market. 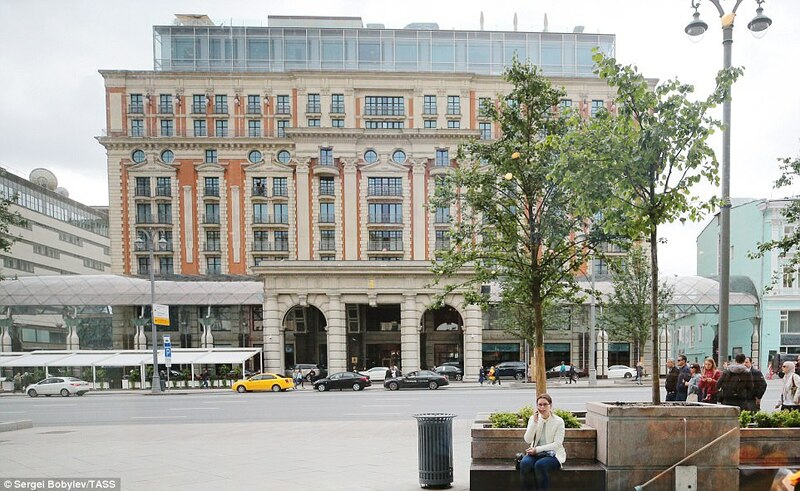 And as they have done in other cities, the Saudis made themselves at home in Moscow. 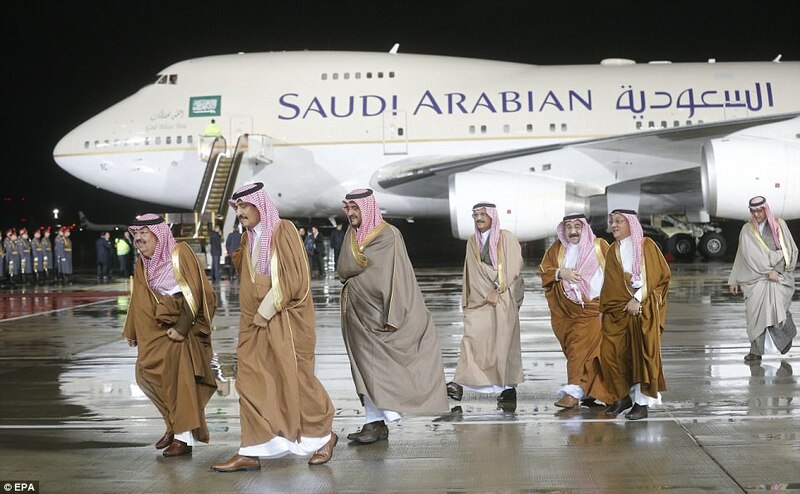 A Saudi plane is traveling daily between Riyadh and Moscow to transport supplies, said the person, who said that 800 kilograms (1,764 pounds) of food has been brought in. Members of the royal entourage also replaced some of the hotel staff with their own personnel, who know exactly how they like their coffee made, the person said. King Salman, who’s staying at the Four Seasons, also came with his own furniture. 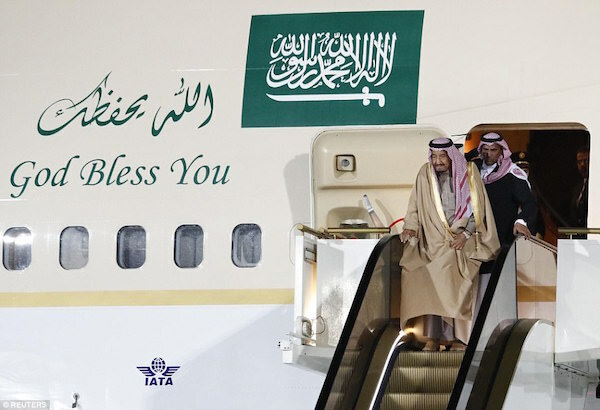 The Saudi government booked two entire luxury hotels for the visit: the Ritz Carlton and the Four Seasons. The latter had to ask some guests to cancel their reservations to make room—and even moved out people who live in the hotel permanently, people familiar with the matter said. A doorman dressed in red livery at the Four Seasons said the entire hotel was booked through Oct. 8 and wasn’t open to the public. When the King traveled to Indonesia earlier this year he took two Mercedes Benz S600s with him, along with 459 tonnes of luggage. Representatives from the Ritz and Four Seasons declined to comment. The Royal Court in Riyadh didn’t respond to a request for comment on size of the delegation. U.S. presidents also travel with large entourages, including a bullet-proof limousine and a Secret Service protection force, and sometimes also book entire hotels. Former US President Barack Obama stayed at the Ritz in Moscow during a 2009 trip, and President Donald Trump also stayed there in 2013 for the Miss Universe contest that he owned. The bill for fully booking the two hotels during the visit may run about $3 million, not including what the delegation will spend on services, restaurant meals and spa treatments, said Vadim Prasov, vice president of the Federation of Restaurateurs and Hoteliers of Russia. High time these useless, perception distorted, arrogant and racist desert clowns are toppled and be removed from holding their country and the energy markets in a stranglehold. These Saudis are as useless and incompetent as the Nigerian political wannabe elites. These kind of people are just crooked scum. KSA is the only country in the world where the name of a dessert Tribe was slapped on to be the name of the country.